The physicians and employees of St. Luke’s Health System are amazing! We are celebrating four years in a row as one of the top 15 health systems in the country as designated by Truven Health Analytics, an IBM Company. It is extremely gratifying to realize that a moderately sized health system, locally owned and governed in Idaho and a system little more than 10 years old, could become one of the top-performing health systems in the country. It’s hard to know just how many systems have achieved this level of quality for this sustained a period in as short a time, but since many systems are decades older than St. Luke’s and there are very few to achieve what we have, it’s fair to say that there are very, very few, if any, that have done what we have. We have come a long way, and it is because of the passion our physicians and employees have for excellence and the journey to high reliability to which we have committed. The beneficiaries are the hundreds whose lives have been saved and for whom complications have been avoided among all those whom we are privileged to serve. Our goal is not to amass a trophy case of awards. Our goal is to provide the best possible outcomes at the lowest total cost of care for the benefit of our patients and our communities. The external validation is important, however, because it is objective assessment by a disinterested third party regarding whether we are reaching the performance goals that we have set for ourselves. 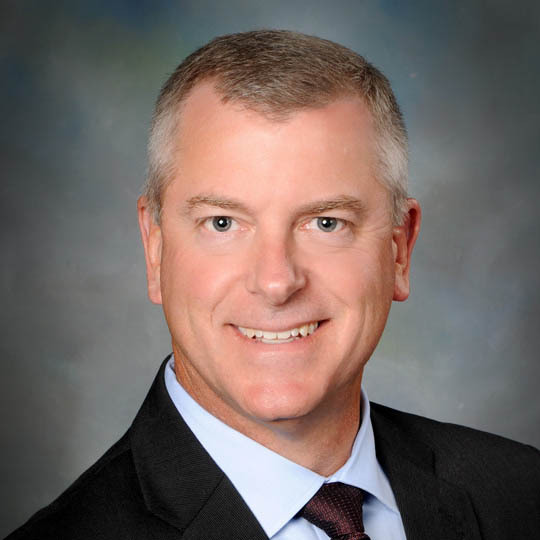 Here is Dr. Bart Hill, vice president and chief quality officer for St. Luke’s Health System, with an account of our journey to being a national quality leader. In 2011, St. Luke’s board and leadership put a bold quality and safety challenge in front of the organization. It was no longer enough to be good by our own internal measures, they said. We needed to be performing at levels that reflected top performance as understood nationally. This was not going to be an easy task, since we didn’t even know how we would confirm whether we had achieved such a level. That lack of meaningful measures and the general lack of transparency were barriers we knew we had to address. We started our journey. We agreed that we needed meaningful measures that could be benchmarked externally so that we would have that comparison to the best of the best. We also had to learn how to make improvements that were measurable, meaningful and sustainable. St. Luke’s physician leadership was critical to this work. We began with cardiac care and soon moved to sepsis and blood management, gaining momentum as we saw improvement and growing engagement on the part of our staff and providers. We saw the true value – better outcomes and lower cost of care – of implementing evidence-based care in a standard fashion, and moved on to stroke, orthopedics, our ambulatory clinics and most recently, general surgery. We are now approaching a really good dilemma: How to support the numerous additional specialties and areas that see opportunities for improvement and want to get involved. Our successes began to be validated by our performance results with external agencies such as Healthgrades, the Centers for Medicare & Medicaid Services, Leapfrog and Truven Analytics, an IBM Company. We leveraged their methodologies and results to identify additional areas of improvement opportunity, never settling for good enough. In 2014, we achieved a milestone moment when we were first recognized as a Top 15 Health System by Truven Analytics. By the objective measures, we were performing as a national leader in quality and safety. However, it was now easy to see that once achieved, sustaining that performance was necessary. We focused our efforts on addressing additional opportunities and soon realized that we had variation that was contributing to inconsistency and unreliability. Not only was this preventing us from attaining our true potential, it meant that we were not fulfilling our obligations to patients, who rightly expect the best possible care. We made our aim highly reliable outcomes with our primary outcome to be zero harm to patients and staff. This meant a renewed commitment to quality and safety by our leadership, additional investment in our organizational culture through TeamSTEPPS, simulation, a safety culture and enhanced improvement capabilities in proven methodologies including lean and Six Sigma. And over the years since 2011, the outside organizations’ positive findings have continued to pile up. This April, our commitment to continually improve was validated when we were recognized for the fourth consecutive year as a Top 15 Health System by Truven. We have also maintained a CMS five-star rating for consecutive periods at our Boise and Meridian locations and have three A-rated organizations for safety from Leapfrog for several consecutive years. What does the future hold for St. Luke’s? We are increasingly incorporating strategies that can demonstrate improved outcomes at a lower total cost of care, and we can demonstrate improved clinical outcomes while simultaneously reducing the total cost of care, we know we will have a powerful value proposition. Participation in the Next Generation Accountable Care Organization, leveraging our common electronic health record platform, developing telehealth, creating meaningful information management and continued engagement of our physicians, providers and staff, all are keys to our continuing improvement. We are also assuming risk for the populations that we are financially accountable for and we are investing in community health. And we are focusing on our most valuable resource — our people – by investing in them to create a culture that supports each of them to be exceptional in their roles. This includes identifying factors that contribute to burnout and addressing them. It also includes creating a learning environment for improvement that engages our physicians, providers, leaders and staff. The real measure of success will not be recognitions, projects or initiatives, but team members’ engagement and passion throughout the organization. This is the secret to both achieving and sustaining excellence, and that measure of success makes for an even more eventful journey. Dr. Bart Hill is vice president and chief quality officer of St. Luke’s Health System, based in Boise, Idaho.